PhD in theoretical linguistics, focusing on sentence and sound structure of Celtic and Indigenous Canadian languages. Also a Director of the Language Creation Society (international not-for-profit group). Have been teaching and professional developing constructed languages for four years. 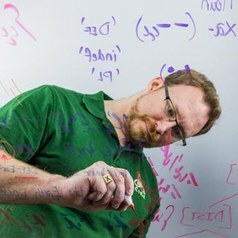 Most well known for academic work on the Klingon language (Star Trek). Currently working as a research assistant in Digestive Health doing knowledge translation.